Vincent Entienne works for a well-known criminal syndicate, controlled by a man known as Rafferty. When Rafferty asks Vincent for something he simply cannot give, Vincent decides its time for him to quit, and get out of the business. However, the only way out, is to travel from his home in Chicago to Los Angeles, and see Rafferty in person. Vincent leaves his daughter, Val, and his niece, Veronica, home alone with the promise that he will return. Weeks go by, and there's no word from Vincent. His daughter Val decides to take matters into her own hands. She'll go to L.A. and find her father. 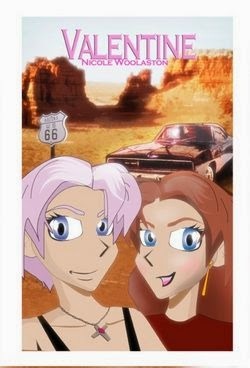 Armed with a pair of guns, a classic Mustang and a seriously brace attitude, Val is a young woman on a mission: to find her father alive and bring him home, or avenge his death. While traveling to L.A., Val runs into some unexpected surprises...and dangers she isn't prepared for.